Making a meal of it: half bottle challenge! I’ve just seen that Conrad in our Showroom has posted a lovely blog about how he’s creating a Valentine’s Day menu and matching each course to a half bottle so he and his other half can enjoy a better range of wines on Valentine’s Day without worrying about having lots of leftover wine. I thought this was a lovely idea, and it also led to the discovery we seem to sell 65 different half bottles of wine now! 31 whites (including dessert wines), 20 reds, and some Sherry and Champagne. I had no idea we did that many. Looking at the selection (and any other halves available elsewhere obviously!) what are your ideas for three-course meals and halves to match? I’d love to hear your suggestions - and maybe I’ll try one of them out for Valentine’s Day! Moving to the table, where strips of smoked salmon lie with blinis and crème fraîche. 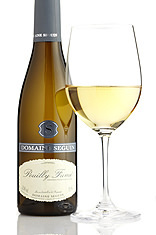 A benchmark Pouilly-Fumé – bright, fresh, mineral, and with that hint of flintiness – from an immaculate cellar where we get to taste every tank, and here in a great Loire vintage. The traditional, trusted and tremendous La Rioja Alta bodega's wines always strike the right note year-in, year-out. 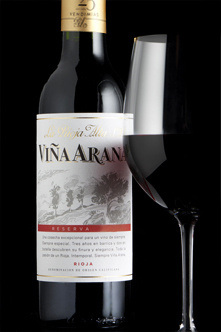 2009 is a delicious vintage for their Arana reserva, offering a smoky aroma, fleshy texture, lovely ripe fruit and oaky maturity. What happens next depends on your geographical loyalty. I go with the British way, dessert first. 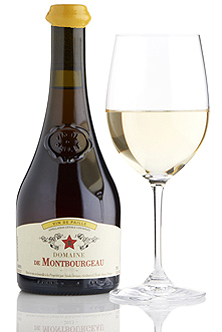 This is a sweet and delicate dessert wine from Jura made mainly from chardonnay and savagnin grapes that were laid out on straw mats to dry before pressing. 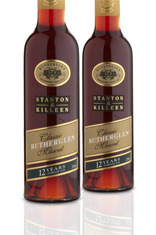 The wine was then aged in barrel for three years to achieve its colour and nutty complexity. and the hanky-panky can begin. Or the snoring, I won’t judge. Probably the snoring with all that booze ! Great line up though ! Oh, I like this challenge! 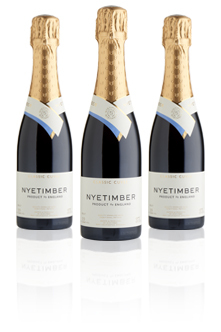 English fizz – how could you not? – for aperitif. 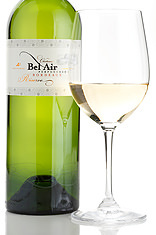 A consistent performer year after year, this is a fresh, aromatic blend of sauvignon and semillon with a touch of muscadelle for added character. 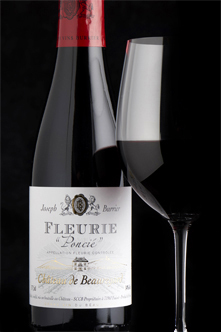 Fine and floral Beaujolais with hints of Burgundian flavours in the black-cherry spectrum. From vines planted in 1950s relatively high up with deep root systems. 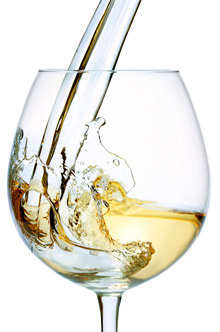 Pinot gris is as much about texture as flavour. In this fine Alsace vintage, there are hints of ripe pear and the aromas of white flowers on the nose, supported by weight and length on the palate. Oh my, these are some pretty special menus haha! You really went all out. If anything I’ll end up consuming more wine, not less. That lamb-and-Rioja combo and the scallops-and-white-Bordeaux in particular sound riiiiiight up my street. I might have to try a combination of these, maybe… all in the name of science, of course. Does anyone here actually buy halves very often?! I would love to buy more halves, but the range of wines available in half bottle, even from TWS, is very limited, and hardly ever includes any wines I’d buy on their own merit (Allegrini’s Valpolicella and Cauhapé’s Jurançon honourable exceptions!). This comes from Alfred Gratien and is just as Champagne should be. 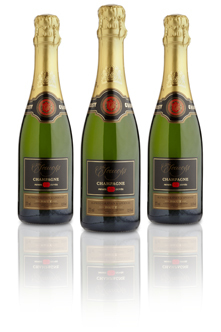 The blend is made up of all three Champagne grape varieties (45% chardonnay, 28% pinot noir and 27% pinot meunier) from excellent sources. I know I’m biased, but I love this stuff. I also find we tend to get through halves a bit more slowly than 75cls stock-wise, so while it’s not a foolproof strategy, the half bottles often have a bit more maturity. A canape no-brainer. The 09 Arana is a star and I’m chuffed we have some in halves. 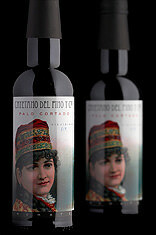 It’s everything you could want from a traditional Rioja for the £ and the 09 vintage is nice and generous. I’d match its smoky charms with a veggie tagine. 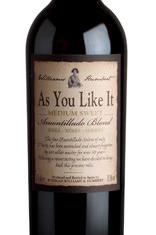 Sentimental fool alert: the first time I clapped eyes on my better half was when she was performing in a production of As You Like It, so I couldn’t not choose this. But the wine is absolutely sensational as it happens. Sweet but balanced and great with blue cheese, but I reckon Mary Berry’s pear frangipane tart recipe + this would be ridiculous. As suiko says, I would, but the range isn’t there. We do frequently plump for halves in restaurants which have a good choice - a quality pair of halves will often go with a substantial meal better than one bottle across all, or be more interesting to explore. At home, halves of champagne are a great discovery. If you find the right merchant then pretty much everything NV is available - Ruinart, Billecart, LP, Pommery, Tatt, Gosset, Veuve… (try Vinatis for all these, Rose variants, and much more) - and these are an ideal size for a glass or two each as a couple if you also want to tuck in to a standard format bottle of still wine (with the option of coravin, stoppers, etc. if not finished). Generally vintage not readily available as halves, or le Grand Siecle, etc., but that’s understandable. I am veeeery excited about this - following your advice I’ve decided on a special Valentine’s Day meal tomorrow and I’ve chosen a course from each of you! Also some blue cheese like Inbar suggested, because CHEESE. I’ll almost certainly round this off with Tom’s final suggestion: snoring. Put a fork in and finish off the next day. Never as good value as a whole bottle.